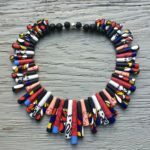 This collar or chain necklace follows the contours of the body with beads reminiscent of indigenous porcupine quill adornments. The necklace is strung with 20lb beading wire, sterling silver or 18k gold filled chain and finished with a sterling silver or 18k gold filled magnetic clasp. 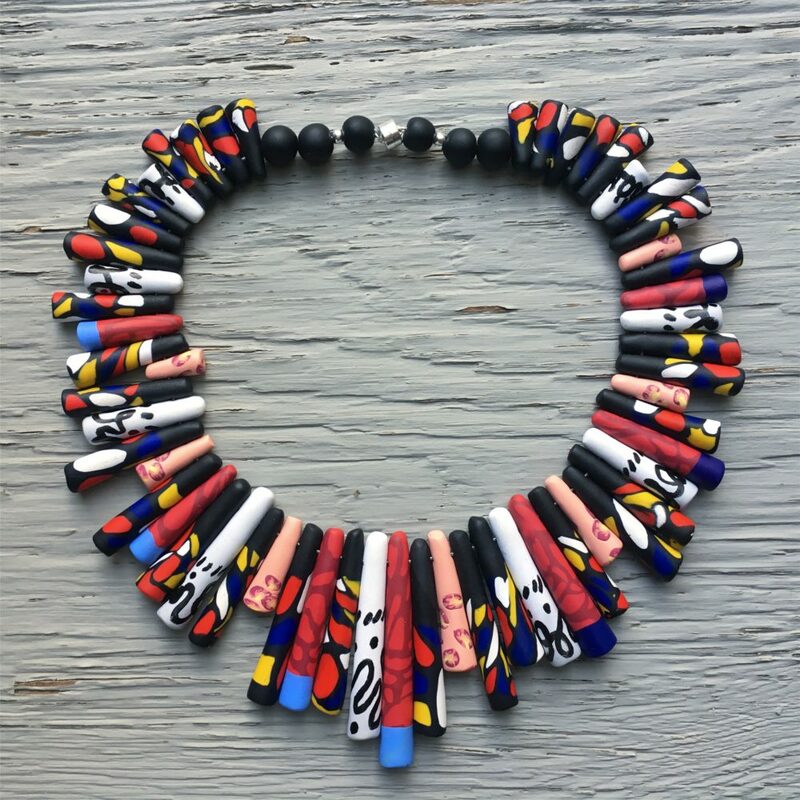 To commission the “Quills” necklace, please indicate if you’d like the collar ($150) or chain necklace ($55) and include a note stating your desired color scheme/pattern.